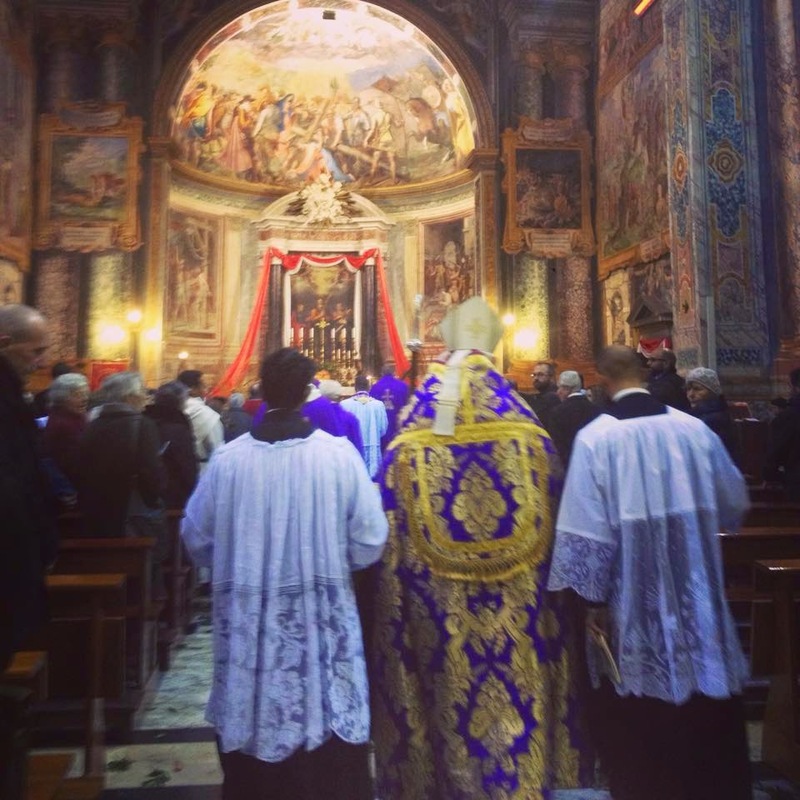 I apologize for the delay in posting these, but I thought it was important to give Dom Alcuin’s recent piece some extra time as our top story. 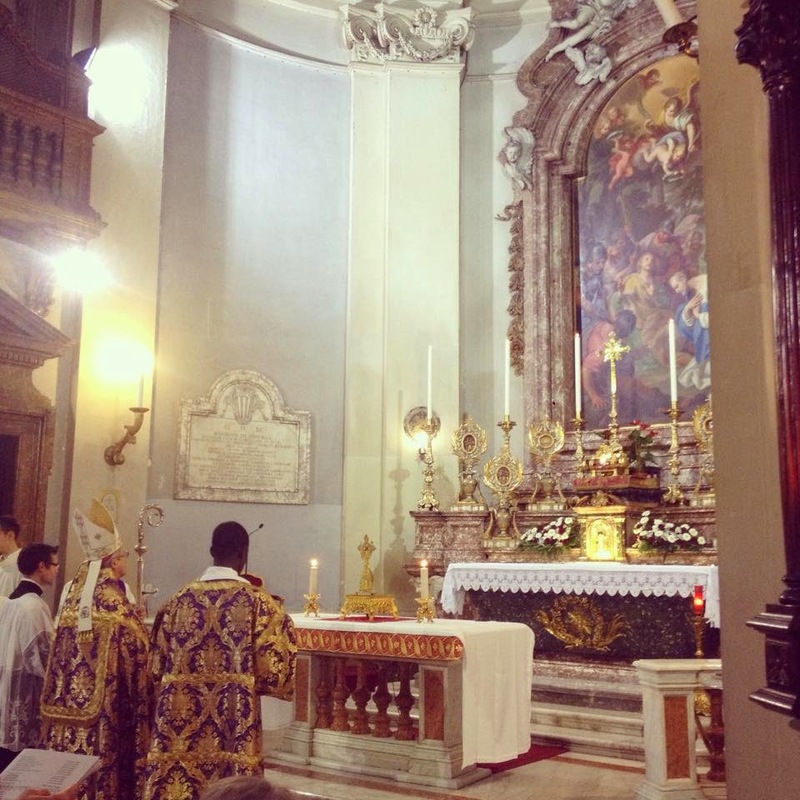 We’ll get caught up with Agnese’s visits to the Station Churches by the end of this week. 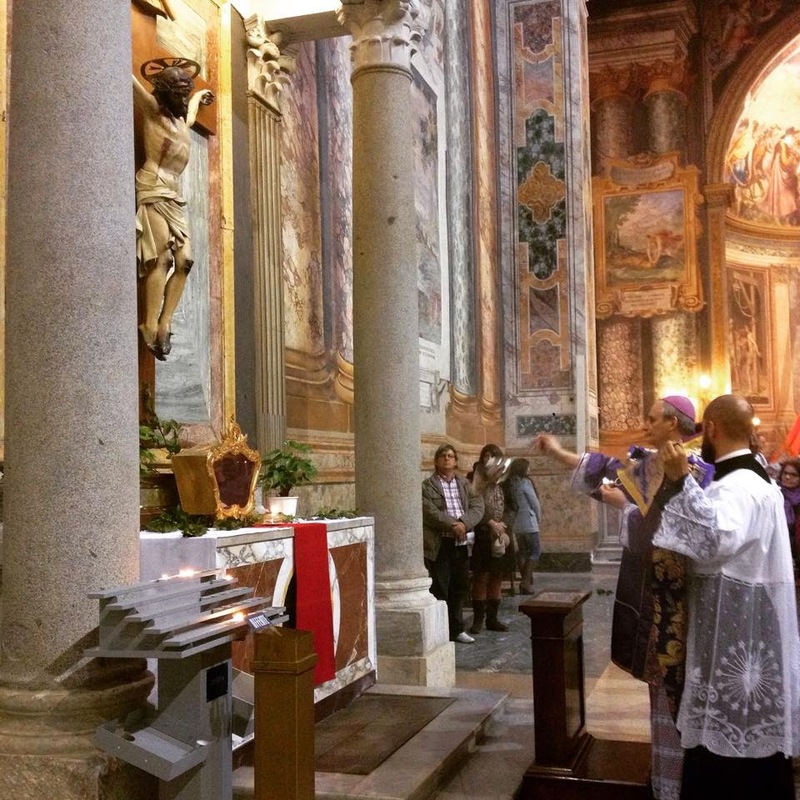 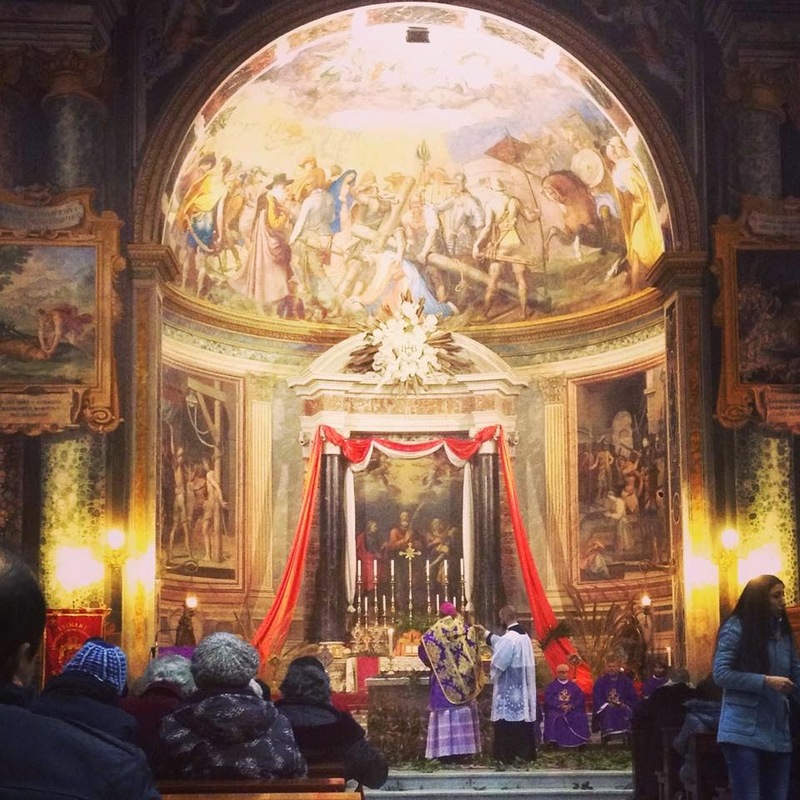 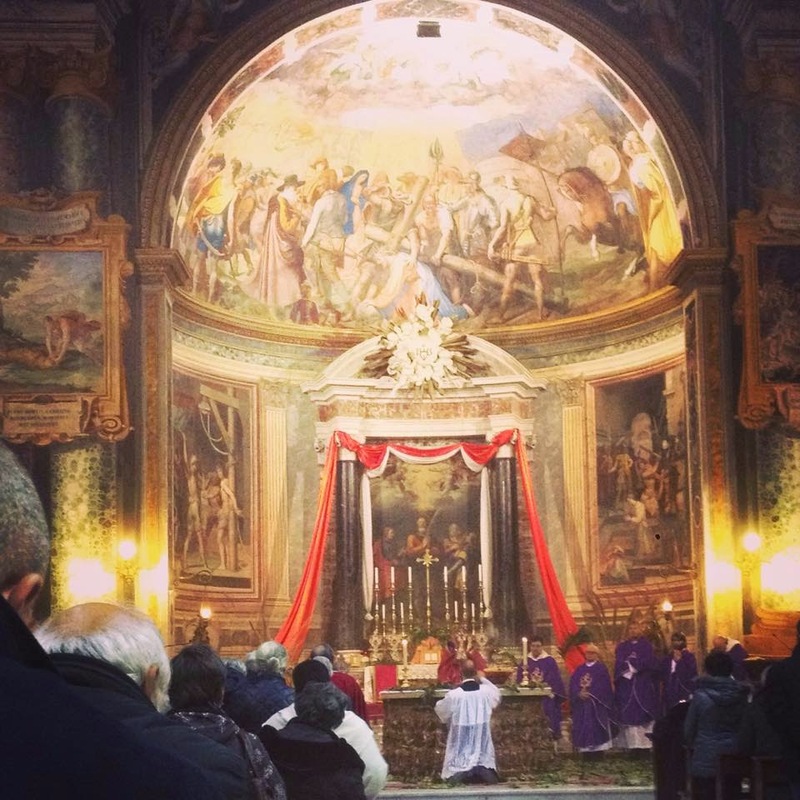 It is edifying to see how much more effort has generally been put into these celebrations in recent years, but the church of San Vitale (Friday of the Second Week of Lent) deserves special notice this year, as you can see by clicking the “Continue reading...” link ans scrolling down. 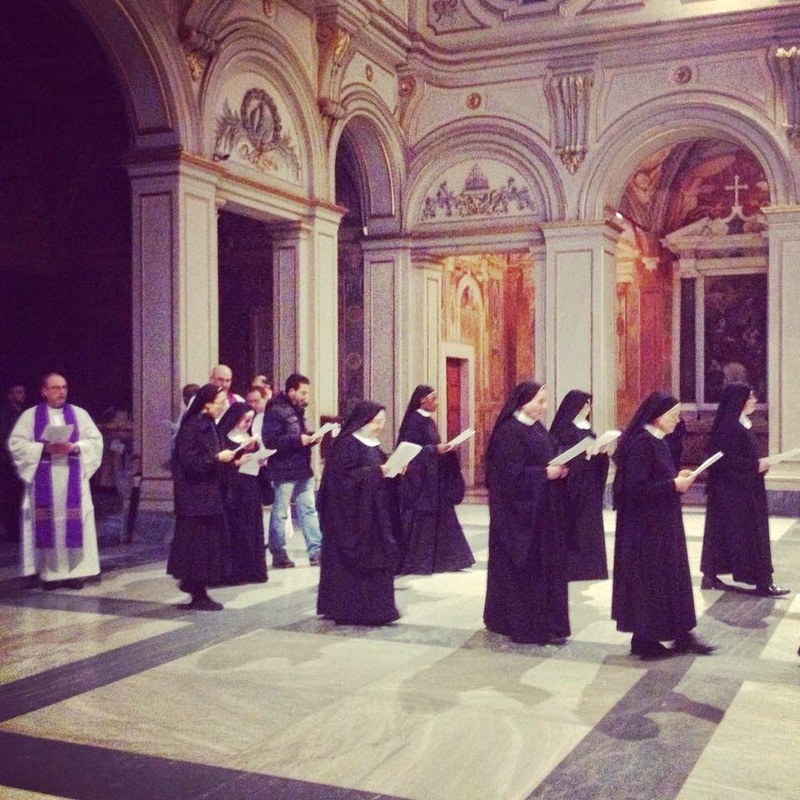 The church is the home of a community of cloistered Benedictine nuns. 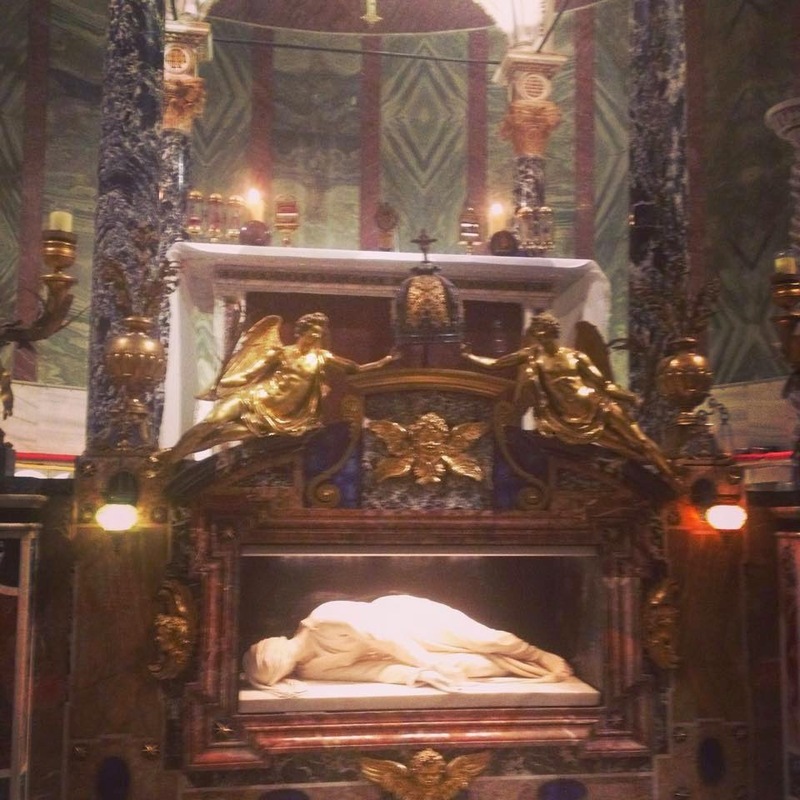 The famous statue of Saint Cecilia by Stefano Maderno showing her body as it was seen when her tomb was opened in 1599. 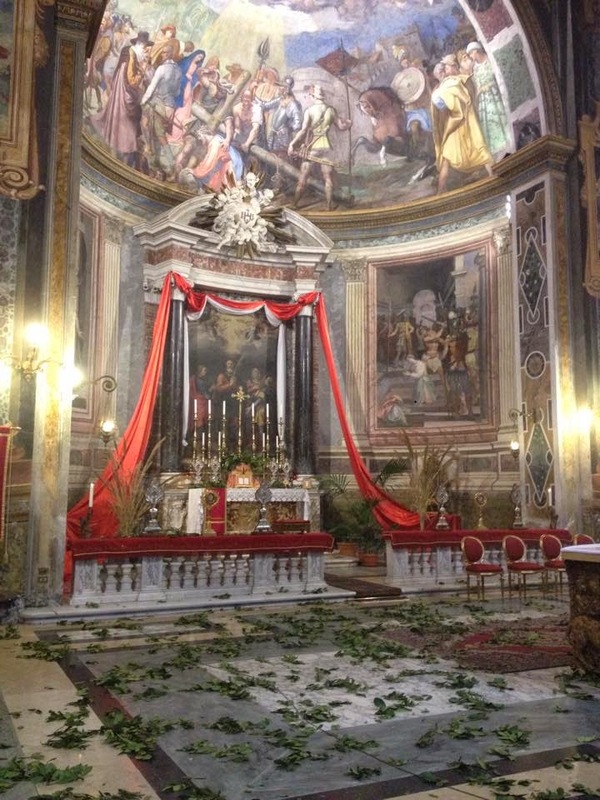 The atrium of Santa Maria in Trastevere houses a large number of funerary inscriptions from a variety of Roman catacombs, brought there by one of the canons of the church, Marcantonio Boldetti (1663-1749). 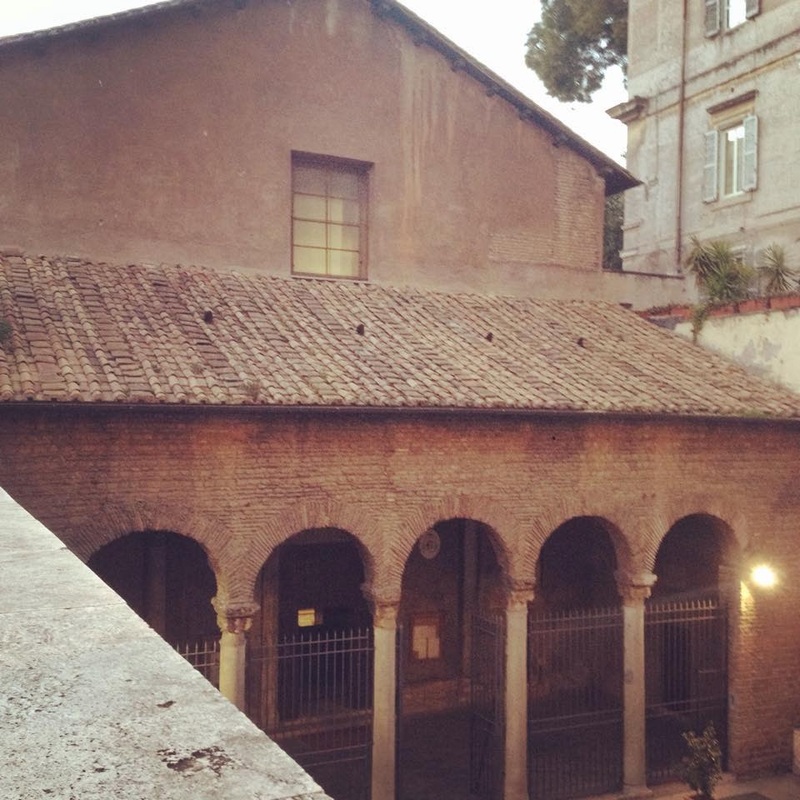 One of the most useful books on the churches of Rome, Le Chiese di Rome by Mariano Armellini, calls Boldetti “il pio saccheggatore - the pious plunderer” of the Roman cemeteries. 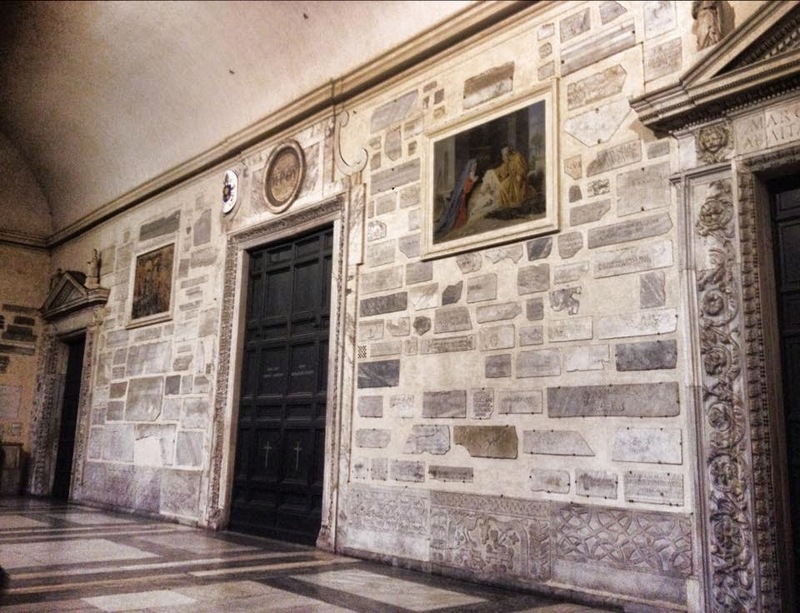 Originally displayed within the church itself, and in the buildings attached to it, the stones were all removed to the portico during a major restoration of the entire complex done in the reign of Bl. 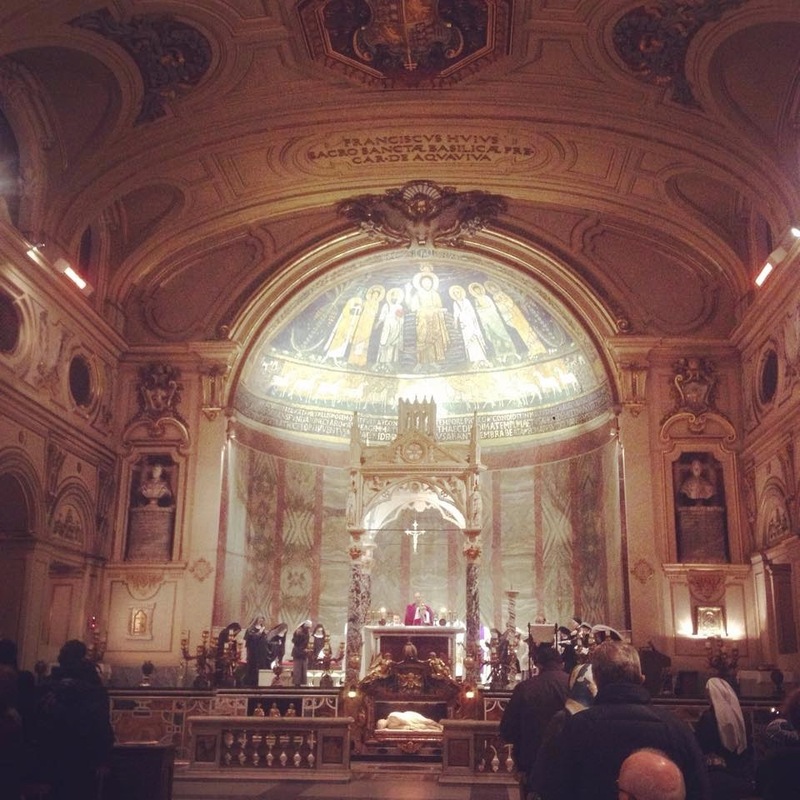 Pius IX. 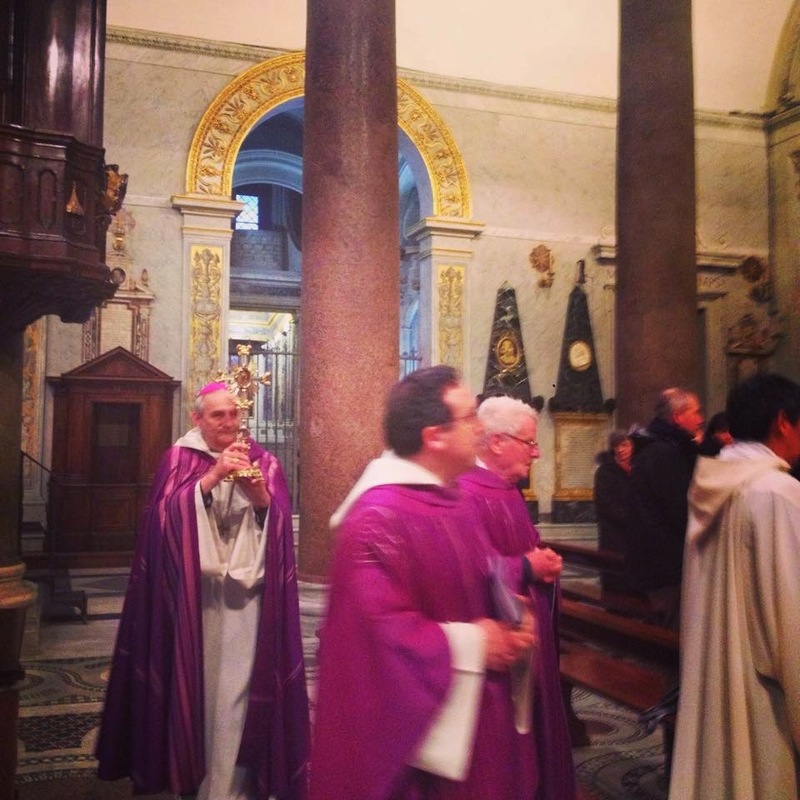 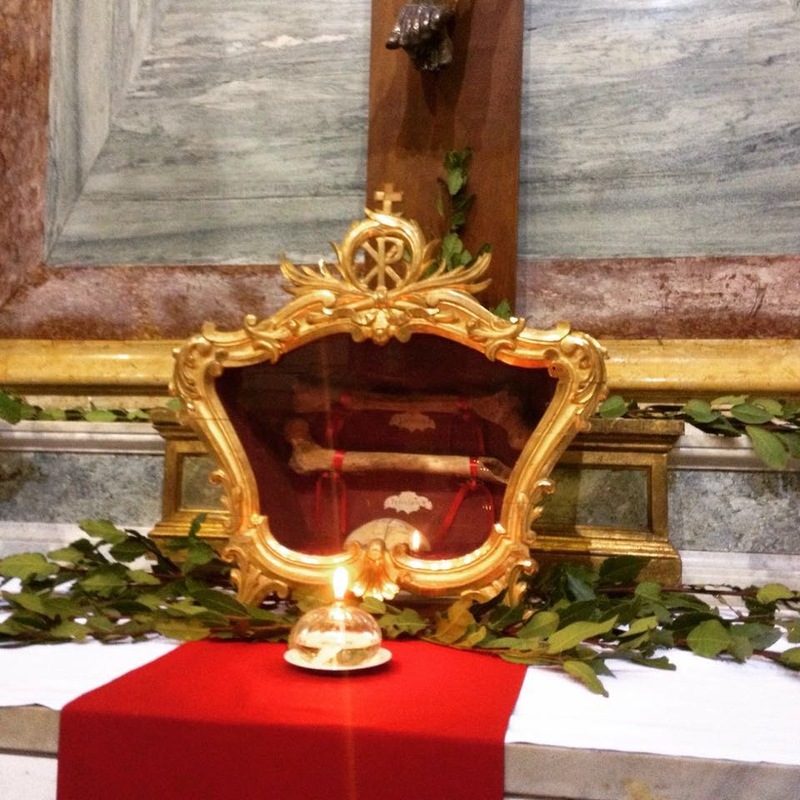 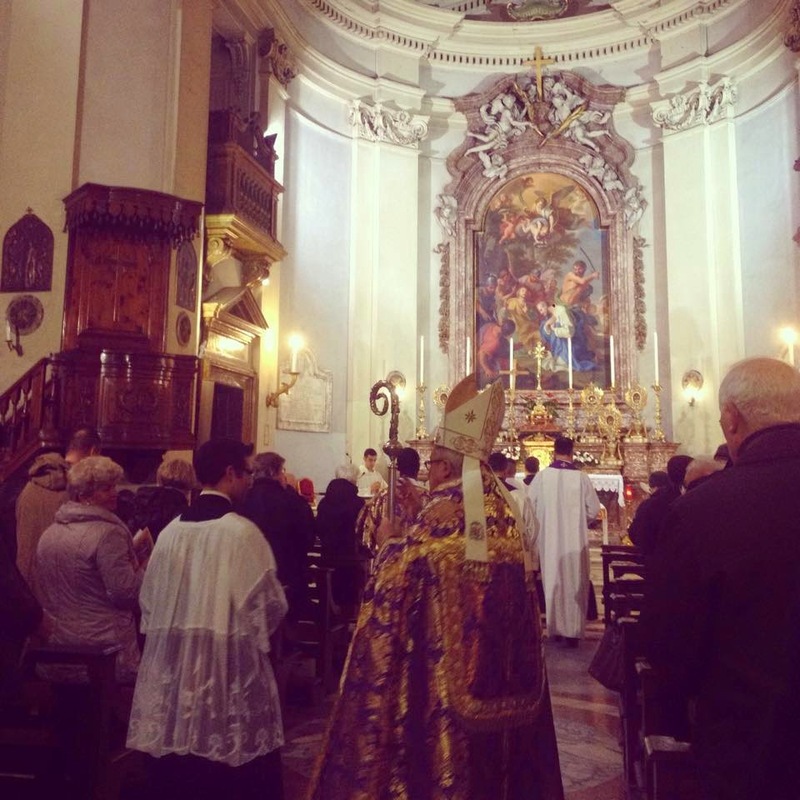 His Excellency Matteo Zuppi, the auxiliary bishop for the historical center of Rome, carries a relic of the Cross in procession; Bishop Zuppi was formerlly the parish priest of Santa Maria in Trastevere. 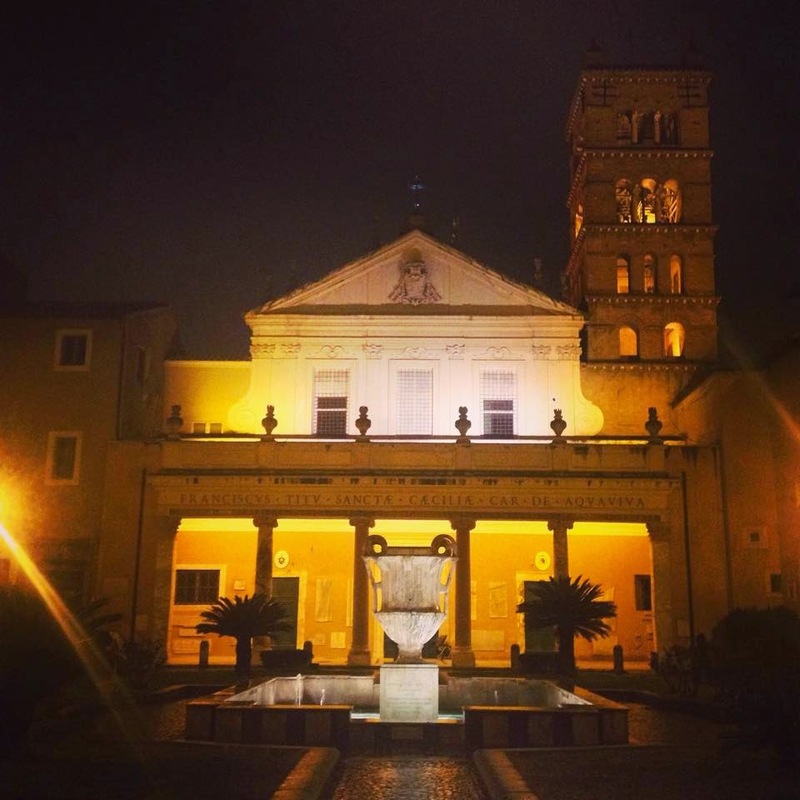 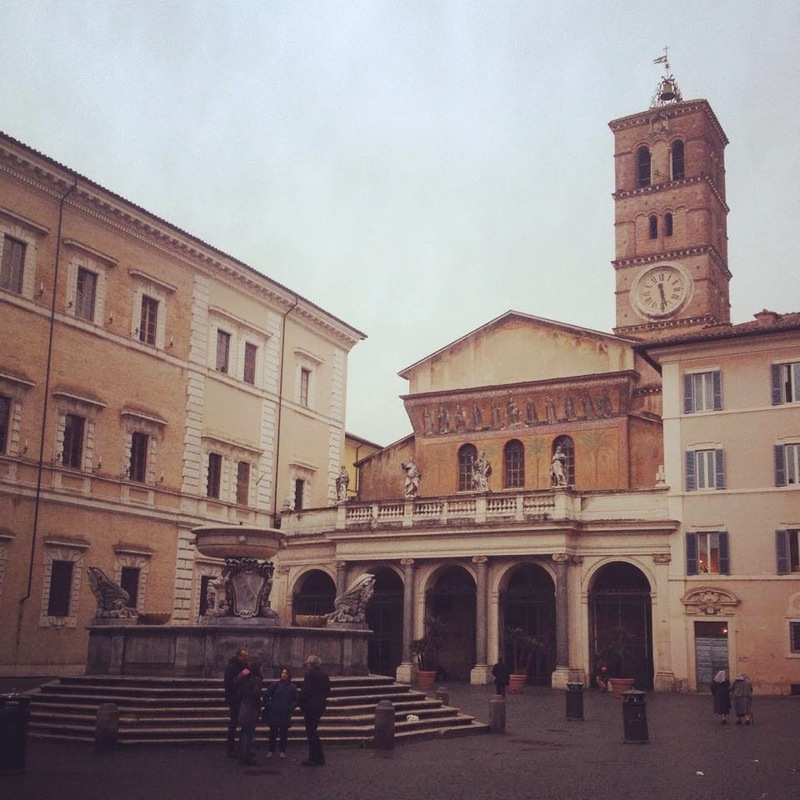 Like more than one of the ancient churches of Rome, San Vitale is now well below the level of the street and the modern buildings that have risen around it. 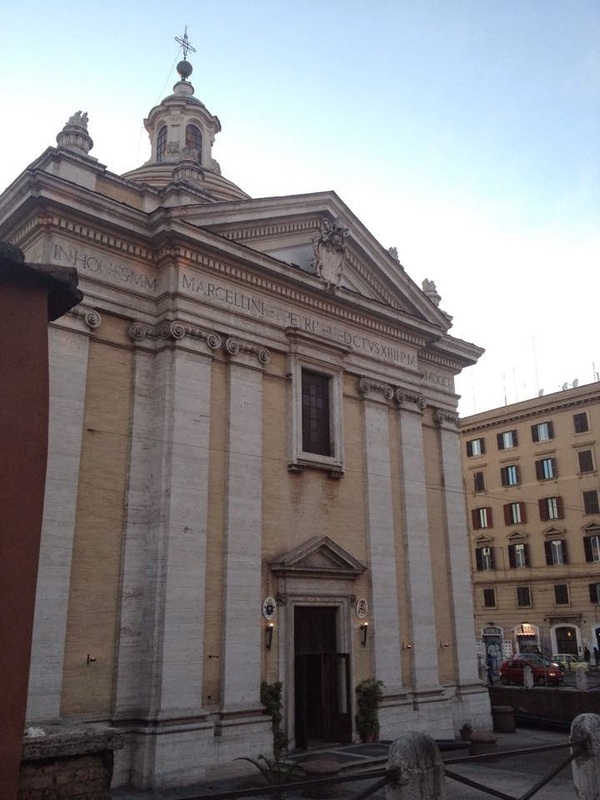 This church is dedicated to an exorcist and priest martyred in the persecution of Diocletian, and was originally built on a level much lower than that of the current mid-18th century building. 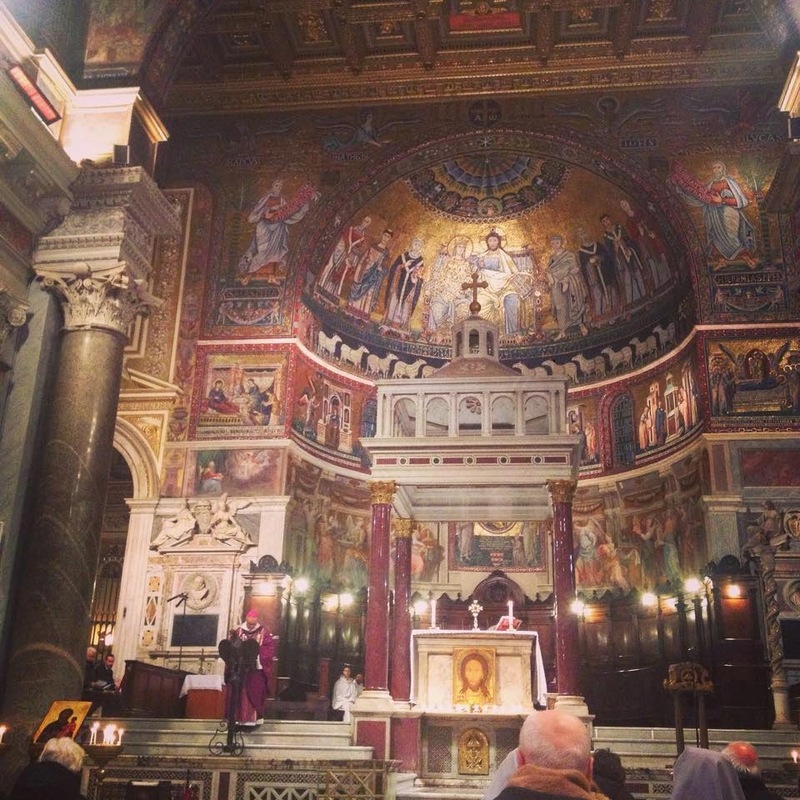 Even within the last 250 years, however, so many new things have been built around it that it is now also below street level, although much less dramatically so than San Vitale. 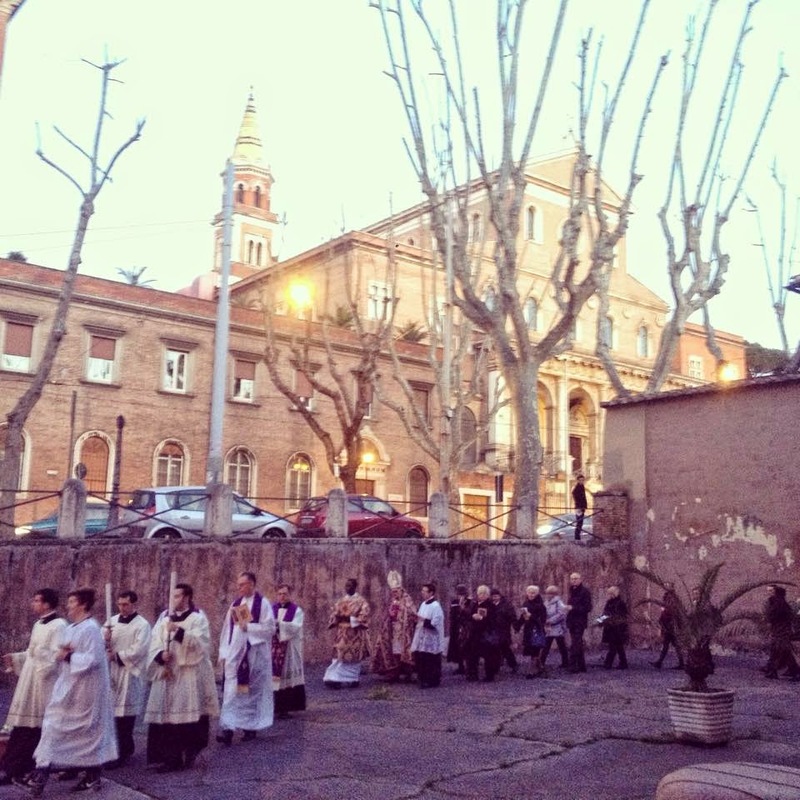 The procession in the small courtyard before the church.